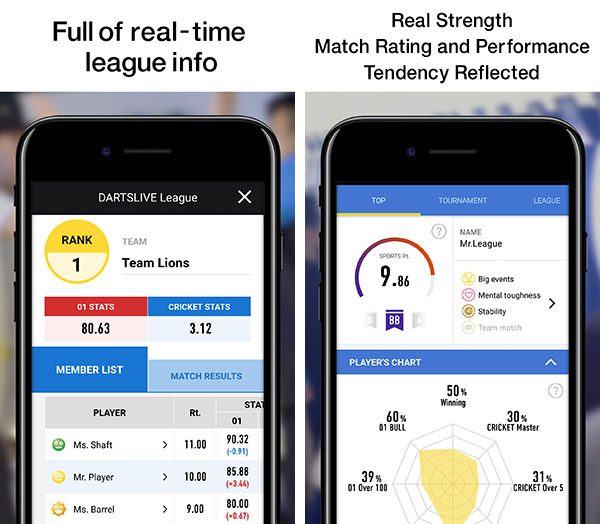 "DARTSLIVE SPORTS" App is now available to see league information. You can check real-time league progress and match results while saving play data that focuses on the results and performance tendencies in matches. Check "SPORTS RATING" that shows your real strength reflecting only the match results of tournaments and leagues along with players' characteristics. The App shows your performance and match results and that of your team members at the end of each match. 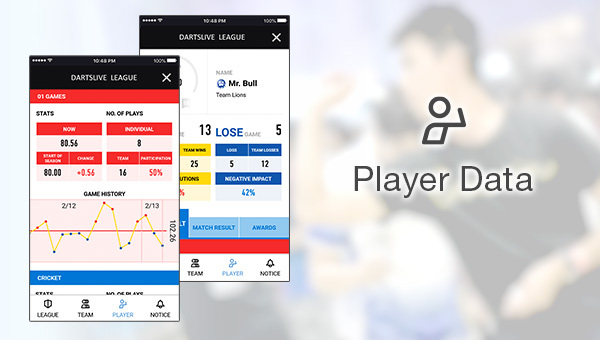 Moreover the App visualized displays data not available in the past such as a player's contribution to his/her team. *Information on matches in tournaments will be available at a later date. 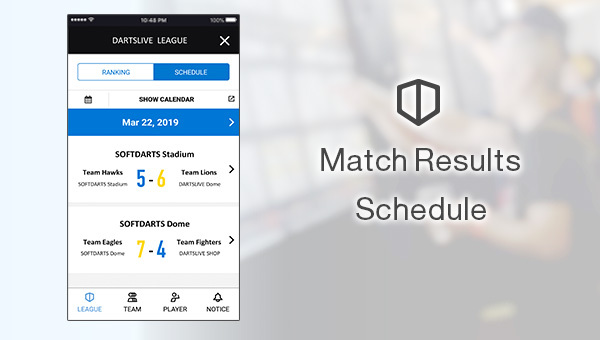 With the new screen design, past match results and future schedules appear with one tap! Stress free execution of many features such as looking back at past matches and checking your point ranking and that of your related teams. The App has simple and easy to see display of Play Data. Your contribution to the team is calculated as well. Moreover, Graphs are introduced to make 01 and CRICKET game results more understandable. Team Data not only offers team STATS and home shop, but divers info such as STATS and RATING of each member. Results of past matches are also easily accessible by just tapping on the tab. You can easily view the performance of each member. The Performance icon has 5 levels based on achievement. As the performance of members in both your team and opponents' teams become available, this feature can prove useful in strategizing things such as the order of players in matches. 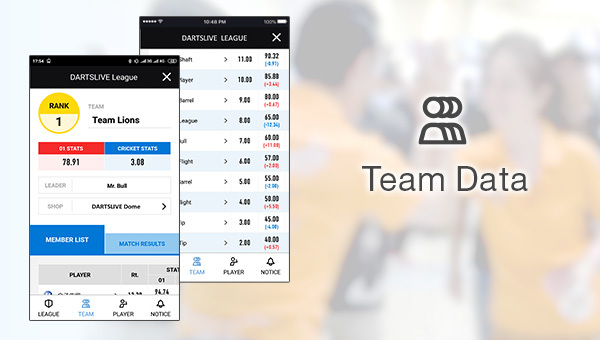 Use this new league feature of the DARTSLIVE SPORTS App to make your league more thrilling.